Have you ever wondered what happened to the 56 men who signed the Declaration of Independence . . .
Twenty-four were lawyers and jurists, eleven were merchants, nine were farmers and large plantation owners; men of means, well educated, but they signed the Declaration of Independence knowing full well that the penalty would be death if they were captured. Drafted by Thomas Jefferson between June 11 and June 28, 1776, the Declaration of Independence is at once the nation's most cherished symbol of liberty and Jefferson's most enduring monument. Here, in exalted and unforgettable phrases, Jefferson expressed the convictions in the minds and hearts of the American people. The political philosophy of the Declaration was not new; its ideals of individual liberty had already been expressed by John Locke and the Continental philosophers. What Jefferson did was to summarize this philosophy in "self-evident truths" and set forth a list of grievances against the King in order to justify before the world the breaking of ties between the colonies and the mother country. Download a high resolution image HERE. 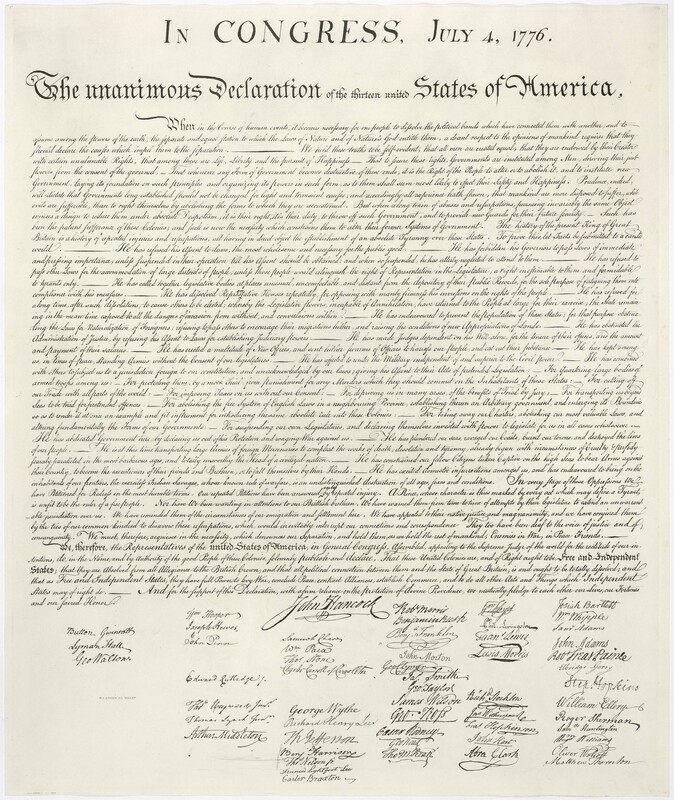 To read the history of the Declaration of Independence, click HERE.